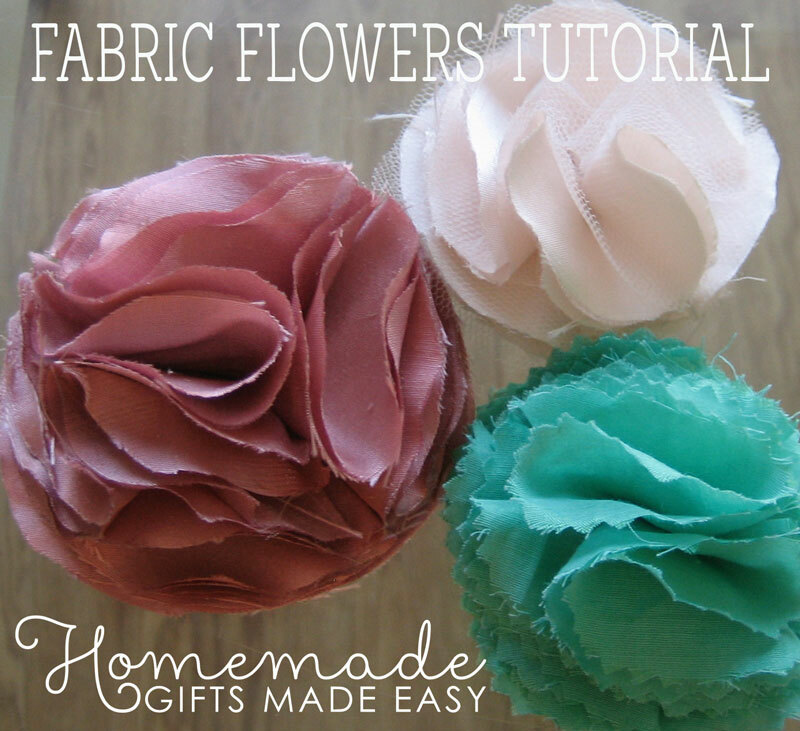 Wondering how to make fabric flowers? There are many designs around, and it all depends upon the look you want to achieve. I personally love this simple design, which is super easy to make and so versatile. 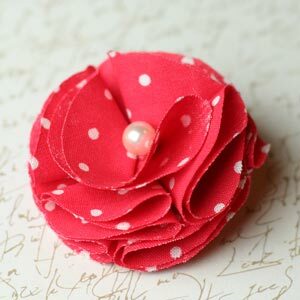 Perfect for dressing up a plain outfit, converting into a brooch, or make one to attach to a hair-clip. These beautiful flowers are a versatile girly-girl gift idea! 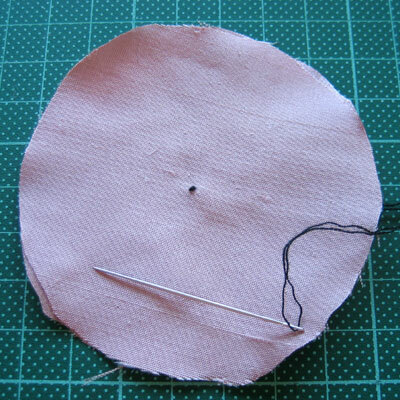 Firstly you'll need to make a circle template to use for cutting out your fabric. 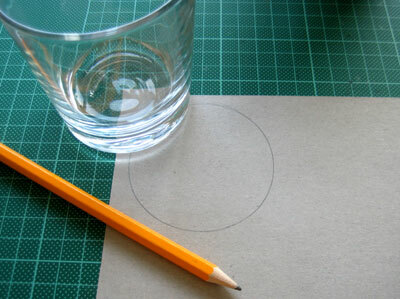 Trace around a small glass onto cardboard, and cut out the cardboard circle. Using your cardboard template, trace 14 circles onto your fabric and cut these out. Place two circles of fabric on top of one another, and secure together with a simple stitch. This will be the base of your flower. Take four circles of fabric for the next step. Fold each in half, and secure with a small stitch to the center of your base. With the remaining eight fabric circles, fold each into quarters and secure with some stitches at the base. Sew four quarters into the center of your base. Now stitch the last four quarters into the center and tie off underneath. Fluff up your "petals" and you're done! 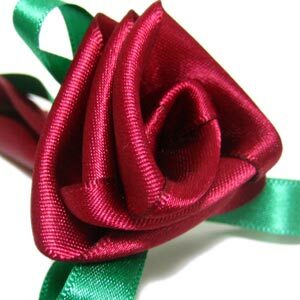 Now that you have made a beautiful flower you'll want to show it off! 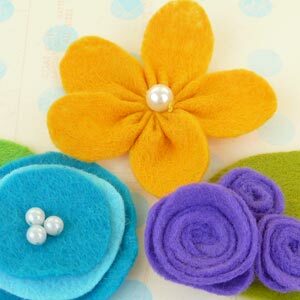 Why not sew or pin your flower onto a plain top to dress it up a bit, or attach your flower to a hair-clip and pop it in your hair? Just sew or hot-glue it onto your hair-clip base and you're done! The instructions above cover the basic flower design. But, if you want to you can add more fabric circles for a fuller look, or add a few layers of tulle for extra glam. You could also use pinking shears to cut out your fabric circles if you want a more textured look. I always find it so inspiring and gratifying when someone uses one of my tutorials to make something for their special day. 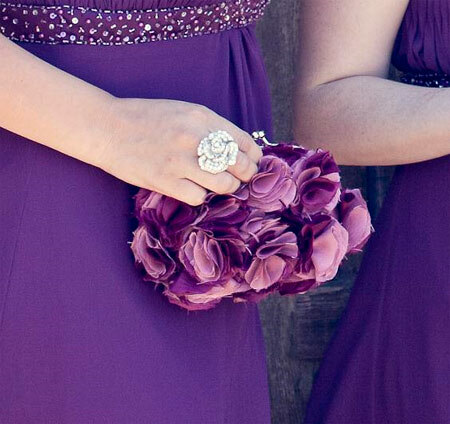 Check out these absolutely gorgeous fabric flower-covered purses DDurango made for her bridal party. Aren't they just amazingly beautiful! You can see more photos and details on her DIY blog post . So gorgeous!!! I found your website today as I wanted to make some flowers for my tribal belly dance outfit and your tutorial is fantastic! 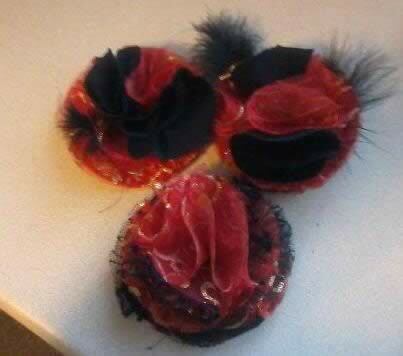 I have made three flowers today (they are quite big) and they look amazing. 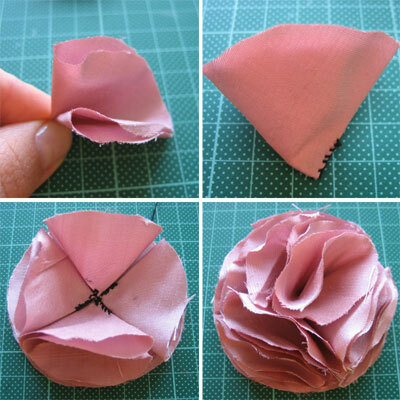 I hope you enjoyed learning how to make fabric flowers. If you're looking for more gifts to sew or make, take a peek at these other easy homemade gift ideas. Go on, you know you want to!